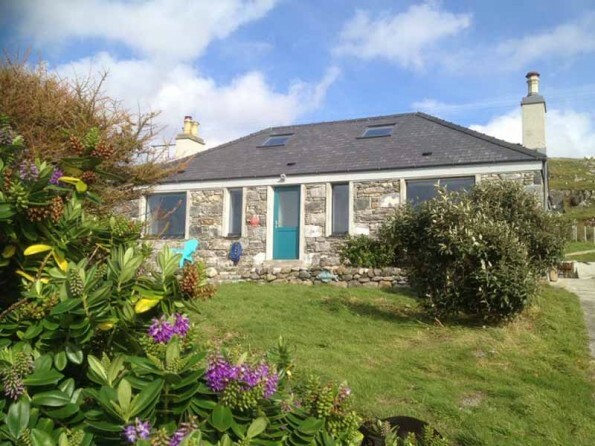 Beautifully positioned two bedroom cottage looking out over the Atlantic Ocean on the Isle of Harris in the Outer Hebrides. 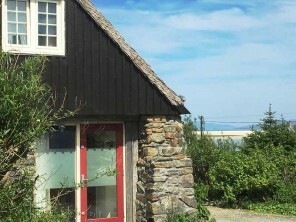 One of Scotland’s most endearing islands, the interior of the house is super stylish, full of wonderful artwork, and the views are simply stunning. After a long beach walk (on what must be some of Europe’s most beautiful beaches), install yourself in one of the window seats with a cup of tea and while away some hours watching the sea and the skies, seeing the sea change from dark grey to turquoise blue. Often you’ll see a seal popping up its head, and you can watch the gannets diving for fish. 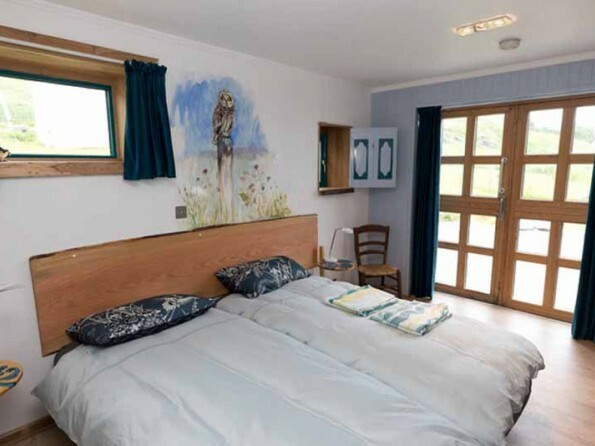 The telescope in the house allows you to watch the wildlife movements from closer by. 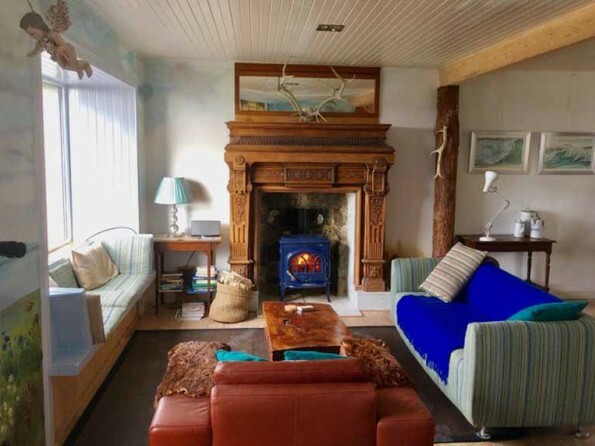 On a wintery day after your beach walk, you can light the log burning stove, or take a bath in the large double jacuzzi bath. You will find plenty to do here whether you want a relaxing or a more active holiday. The beaches are simply outstanding - beautiful stretches of white sand and blue seas, often with scarcely any people - they are a match for Caribbean beaches any day! 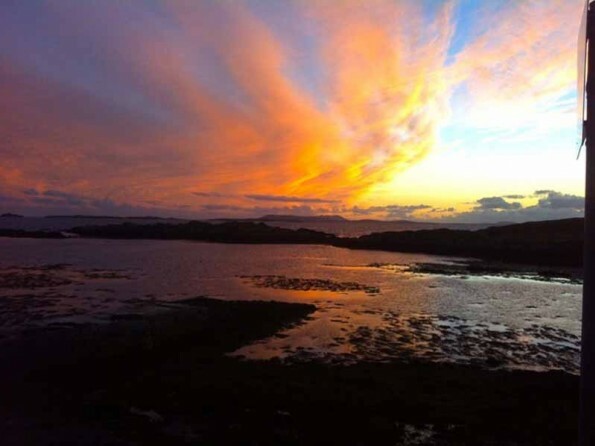 Harris Outdoor Adventure, Leverburgh Pier, provides rental or tuition in mountain biking and sea kayaking. Furthermore they arrange for seal watching and fishing trips. 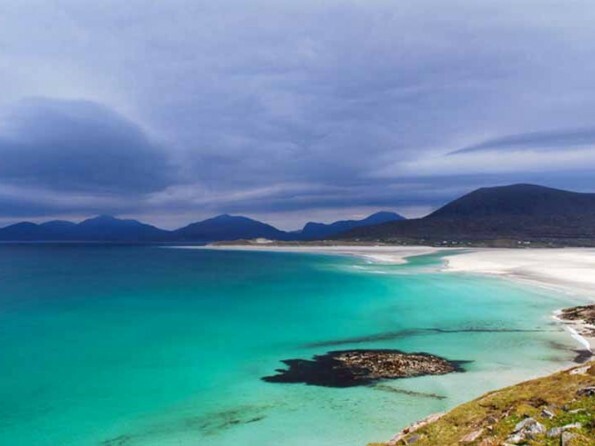 Harris is a paradise for anglers, fly fishing or sea fishing; mostly there is a good catch! If you like to go out, several excellent restaurants serving local (sea)food are nearby. You can also order lobsters and scallops from the local fishermen or try to catch your own tea! 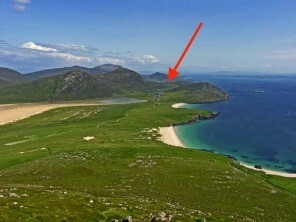 Also nearby is the well known Isle of Harris Golf Course. The ocean waters are clean and clear and home to many seals, porpoises and otters. 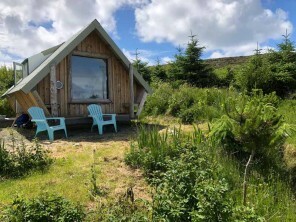 Whether you wish a romantic, relaxing or active break, this is the ideal location to ensure a truly memorable Hebridean experience! If you’re coming by car, the two main driving routes to Scotland from the south are via the east of England on the A1, or via the west using the M6, A74(M) and M74. From Edinburgh or Glasgow there are a few options. 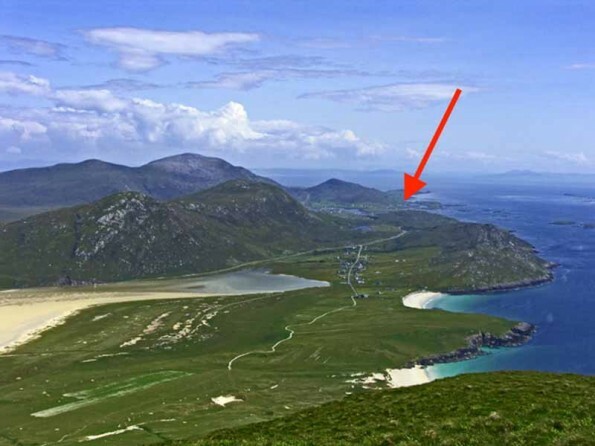 If you`re coming by ferry, the ferry arrives into Harris from Uig into Tarbert, and Berneray to Leverburgh. The ferry from Ullapool-Stornoway, followed by a 50 minute drive, will take you to Northton. 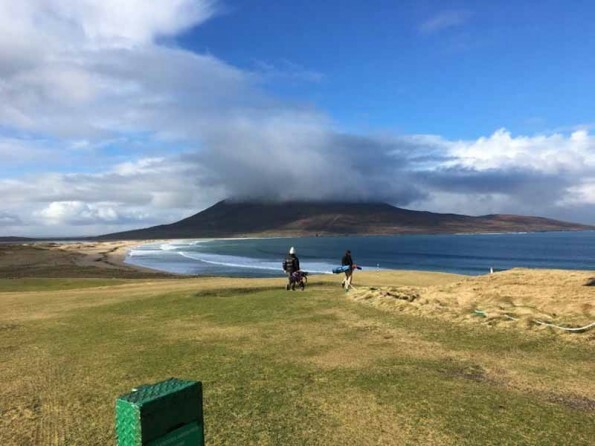 By air, Scotland is well served by the budget airlines operating from airports around London and from other regional hubs, as well as by British Airways and BMI. You can fly from Edinburgh, Glasgow, Inverness, Aberdeen and Benbecula directly to Stornoway Airport. The house has an outstanding 5 star award rating from Visit Scotland and it’s not hard to see why. 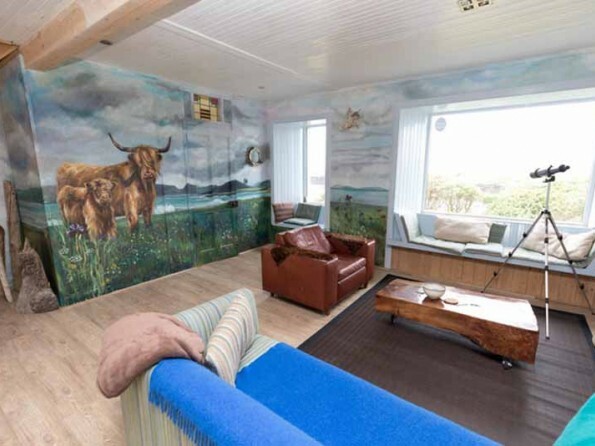 A local artist has been commissioned to add a local touch to the house - waterlilies painted on the bathroom floor, puffins above the bed and a large mural of highland cattle in the living room. The large and luxurious living room has stunning sea views from the picture windows. There is a wood burning stove, comfortable seating, and SMART TV, Bose music system, Wifi and DVD player. There is a telescope and binoculars at your disposal for watching the wildlife. The open plan kitchen is striking and high quality - well equipped with all you will need, including top quality Smeg appliances. 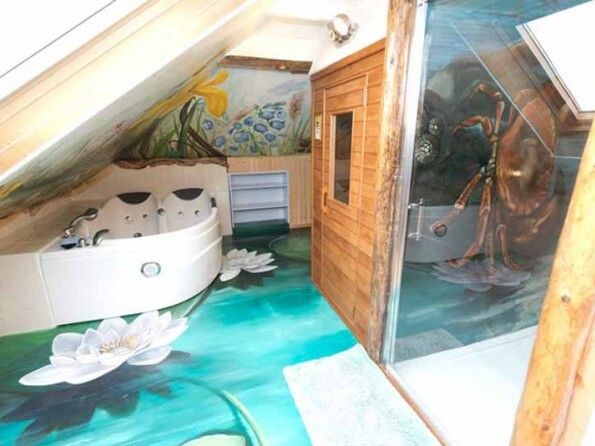 Upstairs a large and luxurious master bedroom under the eaves with a super kingsize bed and ensuite bathroom with double jacuzzi, large shower and infrared sauna. 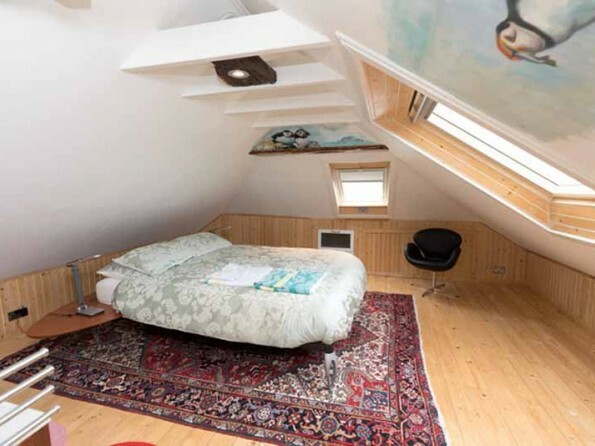 The downstairs bedroom also has an ensuite bedroom and looks out over the ocean. There is a large fenced garden surrounding the house. 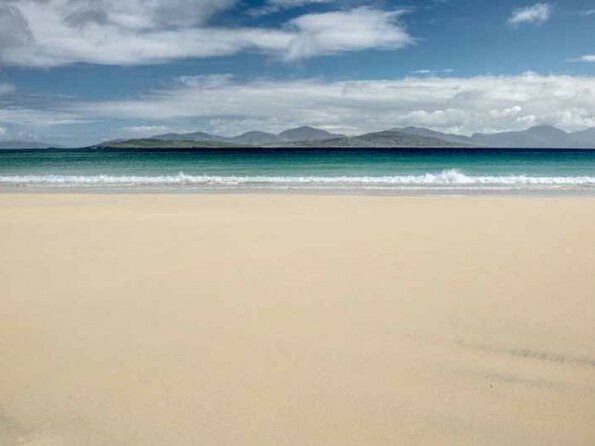 Winter at Harris: For an island so far north, the Outer Hebrides have a remarkably mild climate. In winter it is one of the warmest places on earth at this latitude. Of course we will see some snow and light frost as well, but this only adds to the beauty of this place! 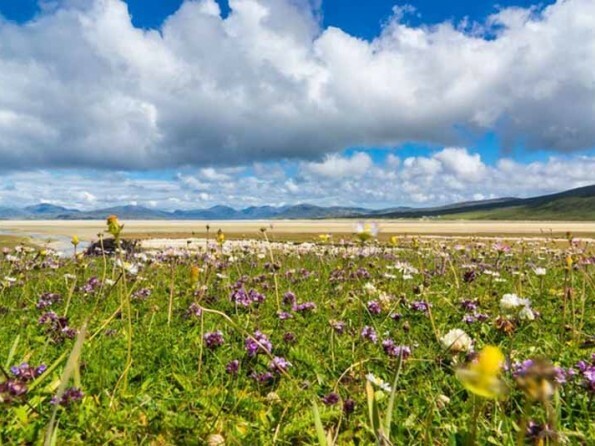 Harris shoreline with its very varied habitats is the main reason why wildlife finds the islands so attractive. 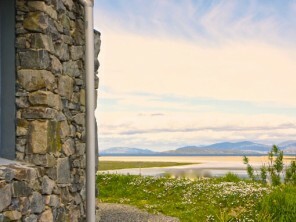 Visit Harris in the winter and you will enjoy extremes such as romantic sun sets, storms sweeping the waves at beaches, golfing on a beautiful quiet day, enjoying the northern lights, hiking under the midnight sun, canoeing in the archipelago, climbing the mountains, sailing on the ocean and walking on the many white sands. For more information about outdoor persuits like kayaking, bike hire, sailing trips and wind karting, please have a look at www.harrisoutdooradventure.co.uk. 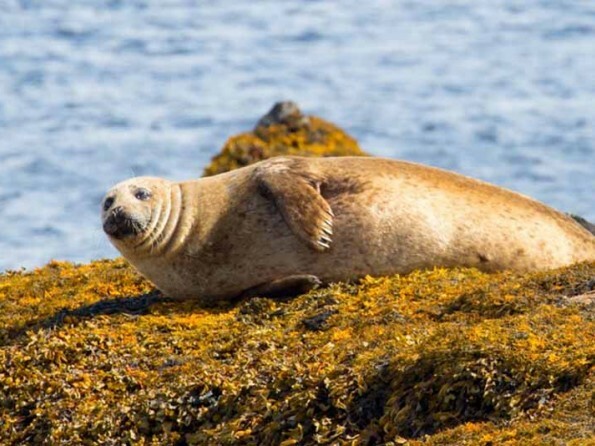 Your hosts Ian and Suzan Visser are very helpful in advising you on walks to remember, nice restaurants serving local food, where to go to see seals and otters, the bests spots for fishing. They can also provide you with local lobsters, fresh fish and scallops from the local diver. The neighbours across the road are serving fresh home cooked meals/seafood at the cottage on request. And what about enjoying a glass of wine after a good walk at the beach or having a sauna or a steam shower being rosy from a day spending outdoors. Welcomne to experience life on the edge!!! Deposit required on booking. Saturday changeover day. 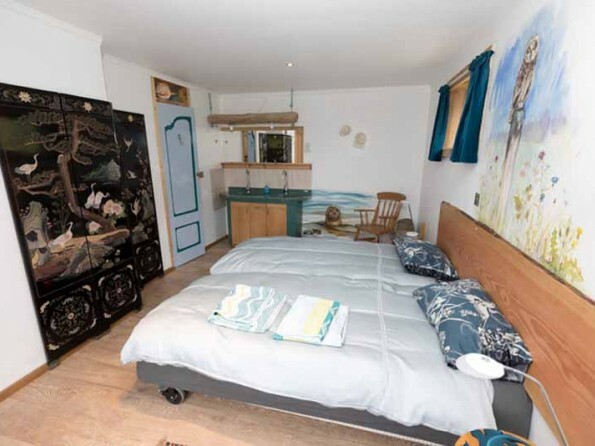 Rent includes bed linen, towels, wifi, electricity, heating, cleaning service. A well behaved dog welcome on request only, depending the breed. Charge for dog is £75 per week.